The Obama administration’s decision to resurrect diplomatic ties with Cuba after more than fifty years is a step in the right direction, but Washington and Havana have different political objectives that may hinder the normalization process. Meanwhile, the U.S. Congress is unlikely to lift the trade embargo anytime soon. CFR Adjunct Senior Fellow Carla Anne Robbins offers three things to know about the way forward for U.S.-Cuba ties. Conflicting Goals: President Obama hopes to use the detente to bring Cuba into the twenty-first century and move it toward democracy. Whereas the Cubans objective is to gain the maximum financial gain while maintaining "as much of the Old Castro system as they can," says Robbins. Tactical Focus: Immediate goals for U.S. and Cuban diplomats will be limited to resolving smaller issues. 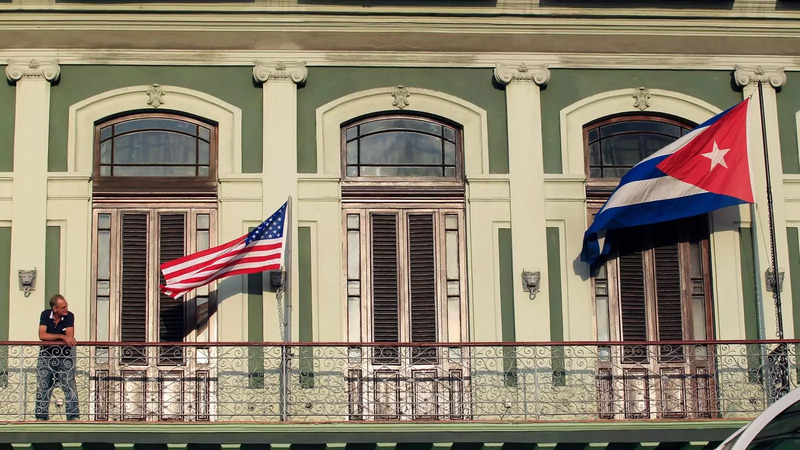 Washington wants to increase its diplomatic presence in Cuba. Havana wants Cuba removed from the State Department’s list of State Sponsors of Terrorism, and demands the United States stop offering internet access and classes to dissidents. No Trade Boom: "There will be no trade bonanza for Americans," Robbins warns. Lifting the embargo requires congressional action, and this will not happen in the near term, she says. However, the cooling off period will make it easier for Americans to travel Cuba and spend their tourist dollars.